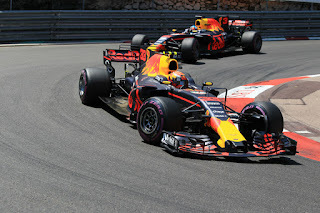 Talking about F1: The F1 blog: Monaco GP Betting Preview - Best to back the Bulls? Monaco GP Betting Preview - Best to back the Bulls? Monaco is different. For good and for ill.
One can never underestimate Ferrari and Mercedes of course, but in many people's eyes Monaco's difference extends to Red Bull becoming the favourite to prevail this weekend. The tight track should suit it down to the ground and not show up its power deficit as much as other circuits do. The Bull also was quickest in the bellwether tight final sector at Barcelona last time out. It's not favourite in the eyes of the bookies though, and this may present an opportunity. Daniel Ricciardo is third favourite to win - behind usual suspects Sebastian Vettel and Lewis Hamilton - at 9/2 while Max Verstappen can be backed at 5/1. You can also back a Red Bull of either stripe to win at 15/8. If you fancy a less ambitious bet then either Red Bull driver can be backed to finish on the podium at reasonable odds too: Ricciardo at 6/5 and Verstappen at 5/4. You can back both to get on the podium at 15/4. It may be worth backing Ricciardo to get fastest lap as well at 9/2. Ricciardo has bagged three out of the five fastest laps this season. You also can get 5/1 on both Red Bull drivers getting pole. However the likes of Ferrari and Mercedes should be stronger relatively on Saturday. Kimi Raikkonen's odds for pole, at 8/1, look very generous. He got pole here last year after all plus has had a few near misses of starting first in 2018. And if you want to take all this to a logical conclusion then you get good odds on a prestigious figure not finishing in the top three this time. Hamilton can be 'backed' at 11/8 for that, and we may recall how at Monaco last year Mercedes struggled particularly in Lewis's case. As for the rest - recent form, recent Monaco results and the afore-mentioned Barcelona final sector all suggest that Carlos Sainz and Fernando Alonso are well-placed to be best of the rest outside of the 'big six'. 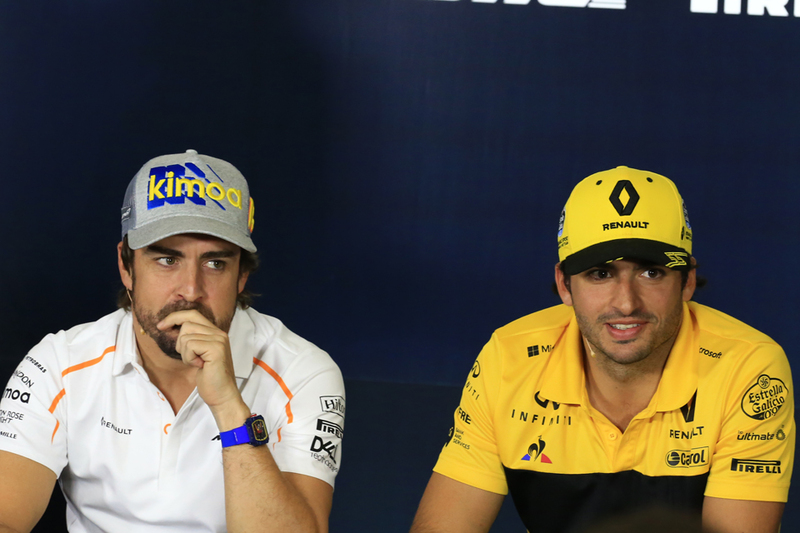 If one of the usual suspects can clear a space in the top six place for them then Sainz at 5/2 to finish in the top six and Alonso at 7/4 look pretty good. You also can bet on Charles Leclerc to score points this time at 2/1. Not only is Leclerc beginning to make good on his junior formulae promise in recent rounds, and has scored in the last two, Sauber's pretty good at long strategies vaulting one of its cars into the points in attritional races were overtaking is tough, such as this one. It may also be worth backing a race winning margin of less then five seconds, at evens. Monaco is notoriously follow my leader meaning it is common for cars to be backed up, plus safety cars bunching up the field are frequent. In six visits of the last eight the Monaco winning margin has been of this range (and it's never in that time been 10s or more). Mercedes has topped opening practice four times from five this year, with Valtteri Bottas taking the last two. Bottas is available at a whole 9/1 to top opening practice this weekend. He's considered particularly skilled on a 'green' track - and you don't get much greener than Monaco's. All odds quoted in this article were accurate on the Oddschecker website at 1900 BST on Wednesday 23 May 2018.